The two rival spymasters know the secret identities of 25 Agents. Their teammates know the Agents only by their code names. The teams compete to see who can make contact with all of their Agents first. 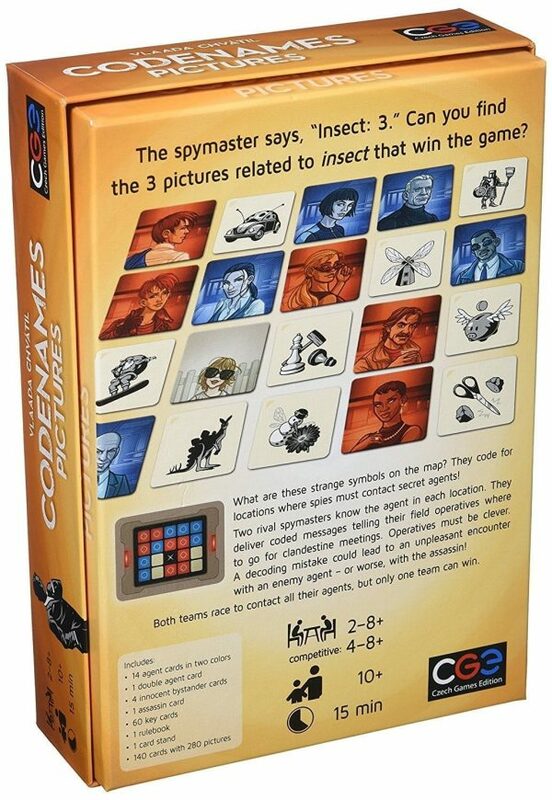 Spymasters give one-word clues that can point to multiple pictures on the board. Their teammates try to guess the pictures of the right color while avoiding those that belong to the opposing team. And everyone wants to avoid the assassin. 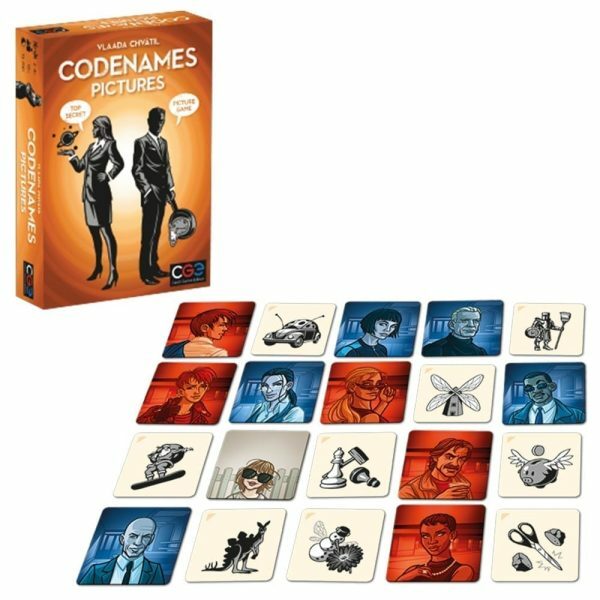 Codenames Pictures: win or lose, it’s fun to figure out the clues. 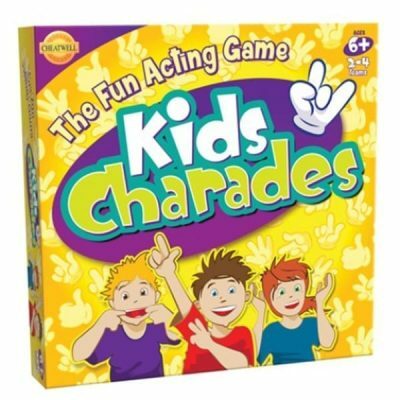 I still prefer the original Codenames, but this one can be fun too. The fact that there are pictures and not words changes the gameplay a bit and to me it felt a bit easier than the original. 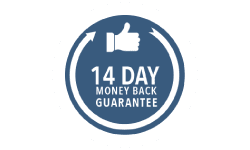 This version will definitely work better for younger players. 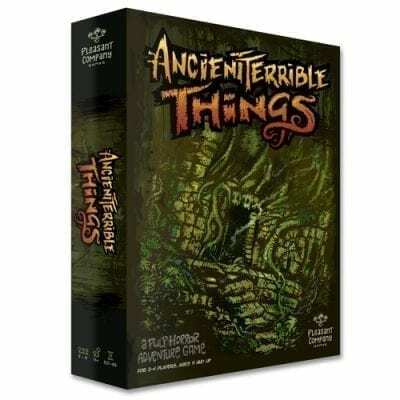 I found this to be a great game with 6 players, but less could work. 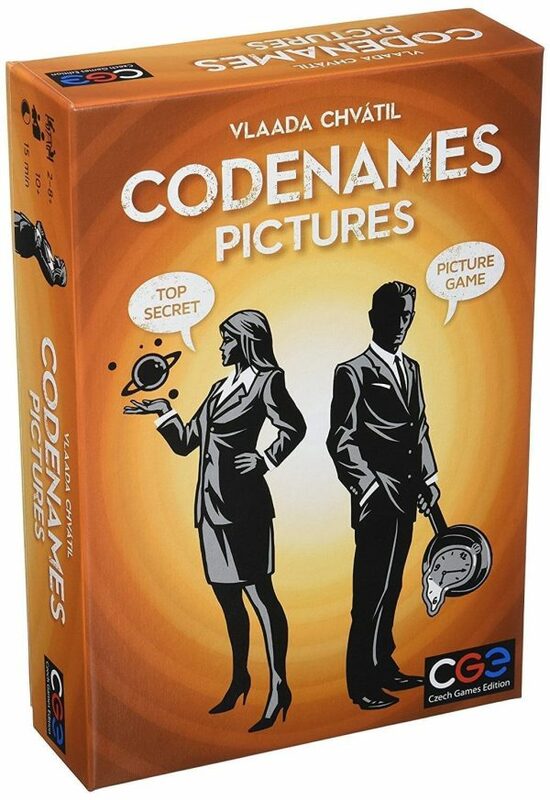 I prefer this to the original word based codenames. 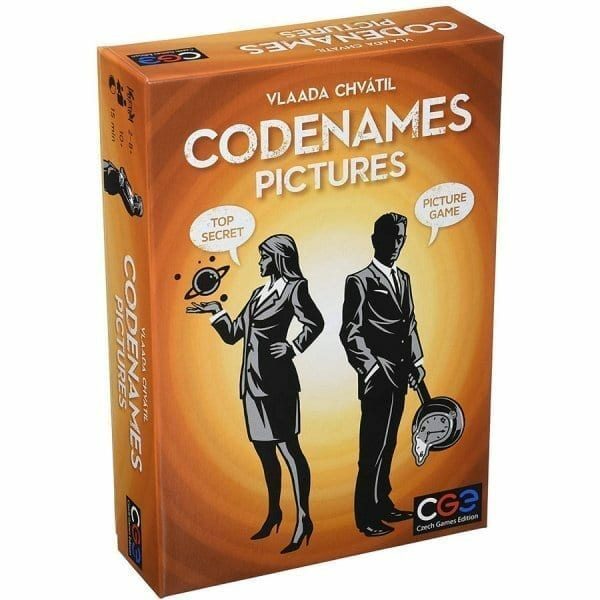 A disney and a marvel codenames pictures was released, should be fun if you have a few friends with the same interests, this version is more versatile and universal.